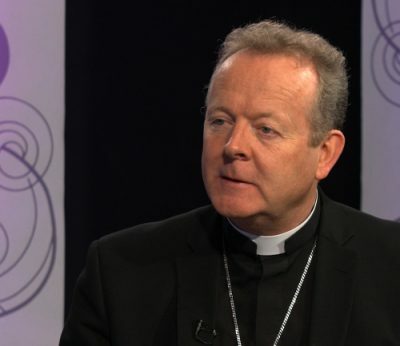 There is still a lack of trust in the Church over the issue of child protection according to Archbishop Eamon Martin, President of Ireland’s Episcopal conference, who will represent the country next week at the special safeguarding conference being held at the Vatican. In the run-up to the 21 to 24 February conference, the Primate of All Ireland solicited responses from the public on the issue of abuse. Many hundreds of volunteers including professionals are working to hold the Church to account, he said, and the National Board for Safeguarding Children in the Catholic Church in Ireland (NBSCCC) ensures “standards, guidance and protocols are best practice, and then [they] help us to audit and review these things month by month, year by year”. Meanwhile leading anti-abuse campaigner Marie Collins, speaking recently of her meeting with Pope Francis in August, said she felt the pontiff listened to her but she did not agree with some of his views in relation to handling abuse. “He is of the view that there can’t be any centralised investigations or judgements of Church leaders, that they must be local, and he believes each Bishop should be judged by a different standard because they come from different cultures, and I find that unacceptable,” she told iCatholic.ie. “There’s an international standard for child safety and that should apply no matter what part of the world the child is in. You can’t lower the standard because the culture might be different,” she added. The Church could flip this whole crisis on its head, she continued, and make it a positive by learning from the countries that are getting it right, bringing it into everywhere the Church is, and then bringing it out into society.